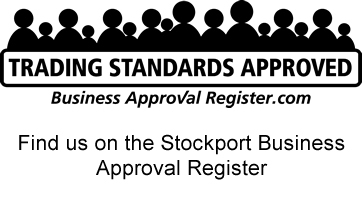 Welcome to the website of Out & About Carpets – and we are proud to be Stockport’s first Trading Standards “Business Approved Register” provider of at home Carpet & Flooring services. We are perfectly placed to provide the finest quality in flooring and carpets in Heaton Moor, Mersey, Norris and Chapel. Quality Laminate, Vinyl Flooring and Carpets Heaton Moor, Mersey, Chapel & Norris – from the most unique Flooring Company in the area. Quality assured Carpets in Heaton Moor, Chapel, Mersey & Norris – Choose from the leading brands and finest quality flooring products from the comfort of your own home. Personal service with quality service guaranteed. For quality vinyl flooring in Heaton Moor, Chapel, Mersey & Norris we have a wide range of styles of vinyl flooring to bring to your home. Family-friendly flooring that is hard-wearing easy to maintain and aesthetically pleasing. Looking for laminate flooring in Heaton Moor, Chapel, Mersey & Norris? Choose from a wide selection of laminate flooring from your own home – with our experienced staff on hand to guide you through the many choices. Take a peak at a selection of projects where we have supplied and fitted carpets in Heaton Moor, Chapel, Mersey & Norris and across the North West. See recent examples of vinyl flooring supplied and laid in Wilmslow, Bollington, Prestbury and surrounding areas. A NEW SHOPPING EXPERIENCE FOR FLOORING & CARPETS IN HEATON MOOR, CHAPEL, NORRIS & MERSEY. We differ from other flooring and carpet specialists in “The Heaton’s” because we have no shop, no warehouse and no outlet on a retail park, instead our service comes to you. We will arrange an appointment where one of our experienced flooring and carpet specialists will come to your home with a wide variety of options that will easily meet your needs. With over 30 years’ experience in the industry – owner David O’Neill knows his carpet and flooring products inside and out. He doesn’t need any unnecessary extras… just professionals who put customer service as their number one priority. Choosing Out & About for your flooring and carpets in Heaton Moor, Mersey, Chapel & Norris – is choosing at your convenience. With our ‘choose at home’ service, we can not only offer you an extensive range of carpets, vinyl and laminate flooring to compare, but we will assist you in making the best choices for your home. We focus completely on meeting your needs and not our sales figures. Our experienced and friendly staff will advise you, rather than guide you. This helps ensure that you are making informed decisions as to the ideal flooring solutions or quality carpets. The other main benefit to our “choose at home” service of course is that because our overheads are so low, as are happy to pass our savings onto you, giving you far more value for your money and a better level of personal service! Looking for flooring or carpets in Heaton Moor, Mersey, Chapel & Norris? We want to hear from you.